The AT-OC9/III features a special line contact stylus embedded into a low profile solid boron cantilever, ensuring the music signals read by the tip of the stylus are transmitted reliably to the coils. The OC9's "VC mould" design ensures stability and rigidity whilst the dual moving coil offers excellent stereo separation and improved frequency response for long lasting performance. The cartridge features a special line contact stylus with a 40μm x 7μm curvature radius at the stylus tip. This not only ensures that the music signals engraved in the analogue records will be read out completely but also it gives expression to the highest dynamic compliance of the series. By firmly embedding this line contact stylus in a solid boron cantilever with its 0.26 mm diameter and by bonding it in place, the music signals read by the tip of the stylus are transmitted reliably to the power-generating coils. The magnet is a neodymium magnet with a maximum energy product BHmax of 50[kJ/m3] while a permendur yoke is used with a high saturation flux density and excellent magnetic materials. Together, they further boost the magnetic field concentrated in the coil gap area. PCOCC does not give rise to crystalline interfacing in the transmission direction so audiophiles can enjoy pure transmissions. 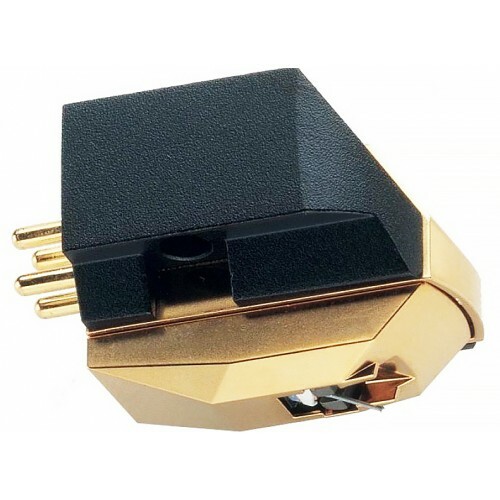 Our unique moving coil type cartridge has a basic structure where one cylindrical coil is used for the left channel and another is used for the right channel. This structure by which power is generated independently for the left and right channels physically provides outstanding separation characteristics. The AT-OC9/III adopts a reverse V-shaped formation for the two left and right coils to reduce the vibration mass as seen from the stylus tip and minimize the unnecessary movement of the coils to further diminish the distortion. 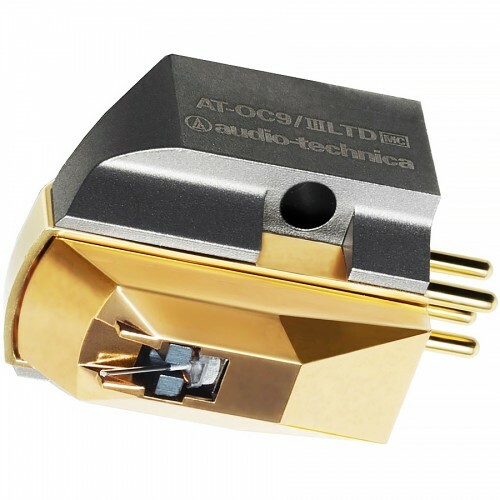 Our unique moving coil type cartridge has a basic structure where one cylindrical coil is used for the left channel and another is used for the right channel. This structure by which power is generated independently for the left and right channels physically provides outstanding separation characteristics. The leakage of signals from one channel into the other exerts a decisive influence on the stereo expanse as well as on the sound quality. This is because this leakage is tantamount to creating irregular cross modulation. The reason why the dual moving coil system delivers such a clear and finely delineated sound quality is no doubt due to the system’s naturally excellent separation. The AT-F7 features a reverse V-shaped formation for the two left and right coils to reduce the vibration mass as seen from the stylus tip. The VC mould that holds the coils in place is made of a hard synthetic resin which is combined with potassium titanate for increased strength and rigidity. Using a precision-crafted sturdy aluminium alloy as the base, the body’s structure is made of hard resin keep parasitic resonance down to a minimum. This minimizes undesirable vibration while the bottom of the body is plated to achieve greater rigidity and an improved signal-to-noise ratio.